Welcome back! I am so excited to get back in the swing of things. I missed weekly blogging so much. This week I tested out the new Fenty Beauty concealer and setting powder. 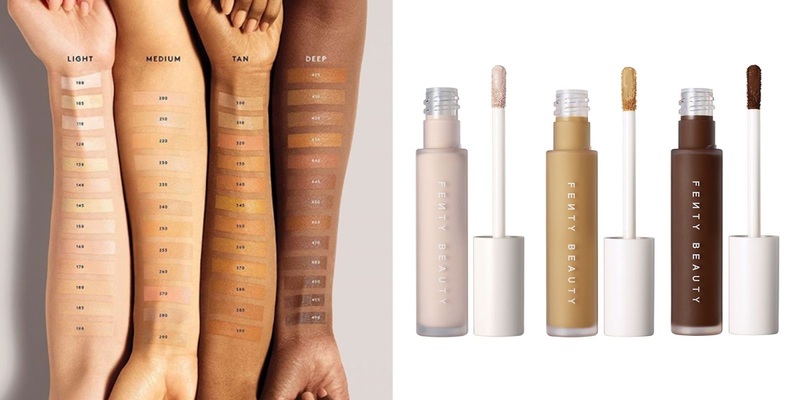 Fenty Beauty released a brand new concealer and setting powder on January 11th. The concealer comes in 50 different shades and there are 8 different shades of the setting powder. The concealers are numbered just like the brand's foundations. The idea is to pick the same shade number in a concealer as you would the foundation. The concealer that matches your foundation shade is just a few shades lighter, which is ideal for concealing under the eyes. I picked up the shade number '370' in the concealer and the shade 'Honey' in the setting powder. The concealer retails for $26 and the setting powder retails for $34 at Sephora and FentyBeauty.com. I was extremely excited to try this concealer out because I am always on the hunt for better complexion products. I prepped my skin with moisturizer and primer like normal before I applied the concealer. The first day I used a minimal amount because I wanted to see what the coverage was like. I definitely think this product is medium coverage and can be build up to full coverage. The formula is super creamy and does not dry down quickly. I blended the concealer with a brush and quickly set it with the Fenty setting powder. I noticed shortly after I applied and set the product it began creasing really bad under my eyes. I know if you have fine lines and wrinkles under your eyes, your concealer is bound to crease but I have never seen a concealer crease this bad on me and this quickly. Throughout the day I noticed the concealer was starting to wear off in some areas. By the end of the day, my under eye area looked so terrible. The next time I applied the concealer I used a generous amount of product. 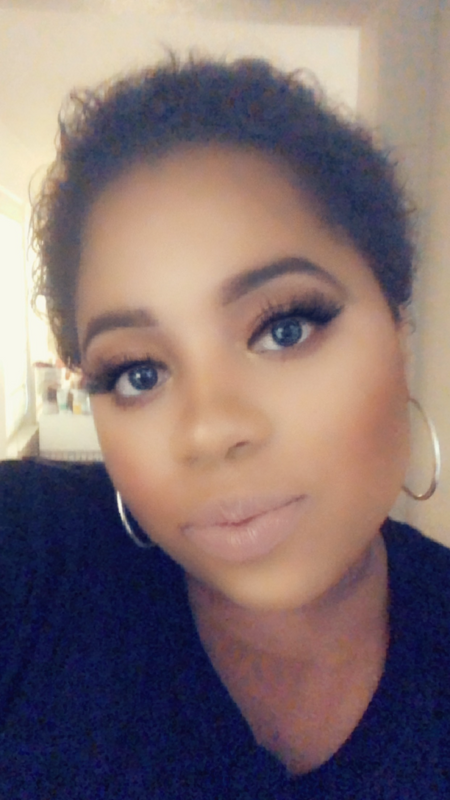 I again blended it out with a brush and set the with Fenty setting powder. The concealer again creased really bad and really quickly. The next time I used the product I blended it out with a beauty sponge. I will say the product did not crease as quickly under my eye but within the hour I noticed it was wearing off and creasing. I hate to compare this to the Tarte Shape Tape, but let's be honest, Shape Tape is the number one concealer for a reason. Sometimes I don't even set the Shape Tape and I still don't crease this bad. It seemed like no matter what technique I used, this concealer kept creasing and wearing off. I originally was not going to pick up the setting powder because I was not feeling the price. I have used the Maybelline Fit Me Loose Finishing Powder for quite some time and I have been spoiled by its low price of under $8 and how great it works. As mentioned earlier, I applied this setting powder right after I blended out the concealer. I really did not notice anything spectacular with the powder and I think that was because I was blinded by how much of a fail the concealer was. I will say I love the shade I chose. It is absolutely perfect for my skin tone. I used the powder all over my face a few times and did not notice anything special. I still got pretty oily after a couple of hours and I noticed in some areas the powder sort of stained my face. Overall, I was not impressed with its performance. Unfortunately, I am super disappointed with both of these products. The concealer was such a flop for me and the setting powder was extremely mediocre. I will be returning both of these products. Have you tried the concealer? The setting powder? What are your thoughts?